The United States is moving quickly to lift a freeze at the United Nations on humanitarian aid to North Korea, just weeks before a planned second US-North Korean summit, according to diplomats and documents obtained by AFP. At Washington’s request, several applications from aid groups for exemptions to tough UN sanctions imposed on North Korea have been put on hold at a UN sanctions committee, some for as long as a year. But in a shift, the US has over the past weeks allowed eight requests to get the green light from the committee for such items as solar pumps, plumbing parts, milk cans, tractor tires and children’s trampolines. North Korea’s food crisis combined with a high incidence of tuberculosis has alarmed relief groups at a time when Washington is hoping for action from Pyongyang on scrapping its weapons programmes. President Donald Trump is planning a second summit next month with North Korean leader Kim Jong-un, possibly in Vietnam, to agree on concrete steps for denuclearising the Korean peninsula. On Wednesday, the sanctions committee gave the green light to the IFRC’s request for hospital kits, medical supplies and water filters among other items needed for life-saving work. “The people of DPRK are enduring another harsh winter,” said Richard Blewitt, who represents the IFRC at the United Nations. Scaling up deliveries of medicine, health care items and goods to ensure access for clean water “are badly needed to support very vulnerable people,” he said. 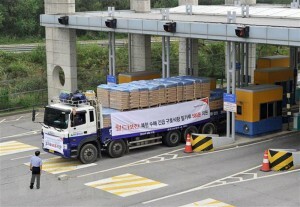 The United States, which insists on maintaining “maximum pressure” on North Korea until it fully gives up its weapons programmes, has taken time to carefully review every aid request. 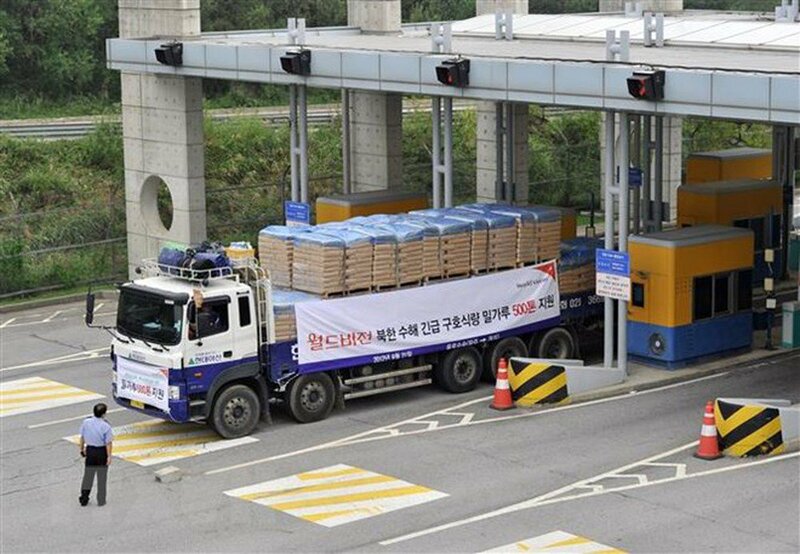 Washington has raised concerns that the goods could be diverted by Pyongyang’s leaders, possibly for use in the country’s weapons programmes. US envoy for North Korea Stephen Biegun announced in Seoul that conditions were right for Washington to review its approach and expedite requests from aid organisations. Two requests from US groups the Eugene Bell Foundation and the Christian Friends of Korea received the green light for equipment and medicines needed for their anti-TB programmes. A Canadian INGO, First Steps Health Society, won approval for deliveries of 300 stainless-steel milk cans used for its nutrition project. The Swiss Humanitarian Aid agency will be able to bring in a solar pump system for drinking water. Handicap International will send 93 paediatric wheelchairs, 18 trampolines and a range of other items to help detect and prevent disabilities in North Korean children. The sanctions committee is considering seven more requests for equipment including from Ireland’s biggest aid organisation, Concern Worldwide, which runs nutrition and clean water projects. An Italian firm, Agrotec Spa, is awaiting approval to send tractors and trailers as part of an EU food aid project while Germany’s Agro Action has asked for permission to ship equipment and seed storages to North Korea. Finland’s FIDA development agency has asked to bring a tractor, iron plates and steel bars for its seed potato project. Diplomats said they expected the sanctions committee to reach a decision on these requests in the coming weeks.